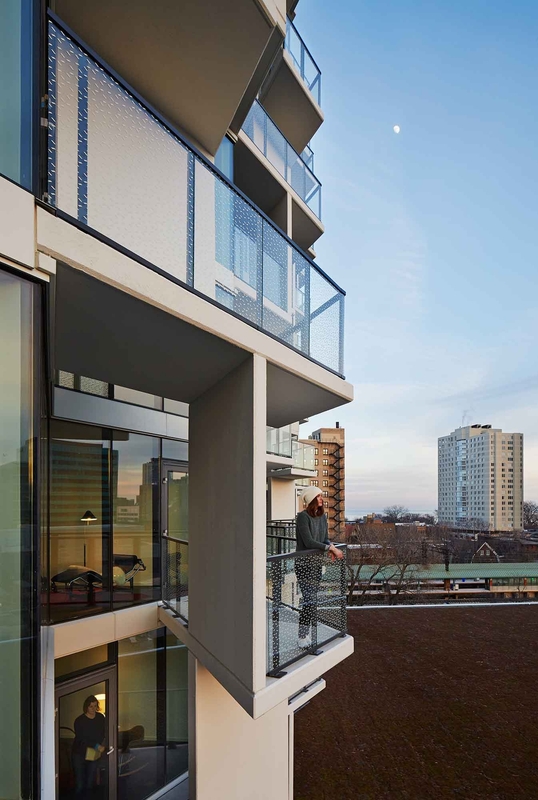 In multi-story residential buildings, the balcony is a feature with much potential for reinvention. Studio Gang’s City Hyde Park development looked to innovate the balcony through the Balcony Stem: a column made up of reinforced concrete panels. The Balcony Stem detail explores how the social, structural and architectural role of the “balcony” can be expanded. 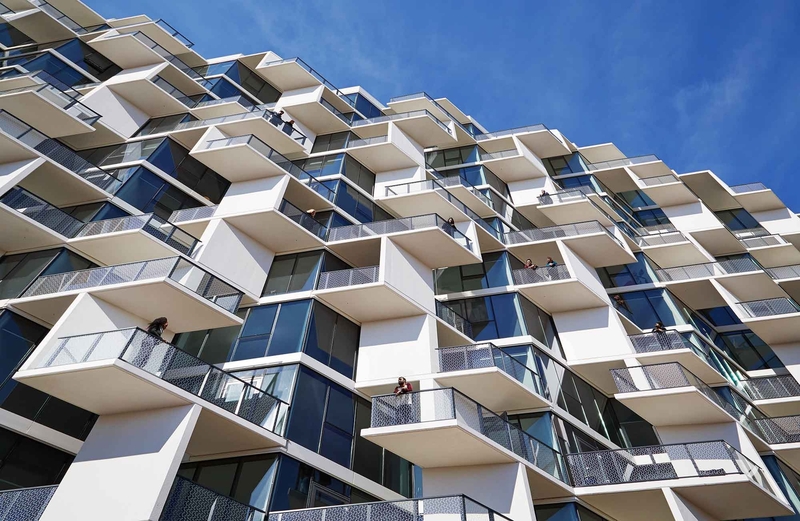 Structurally, the balconies are not cantilevers from the building’s interior floor slabs. 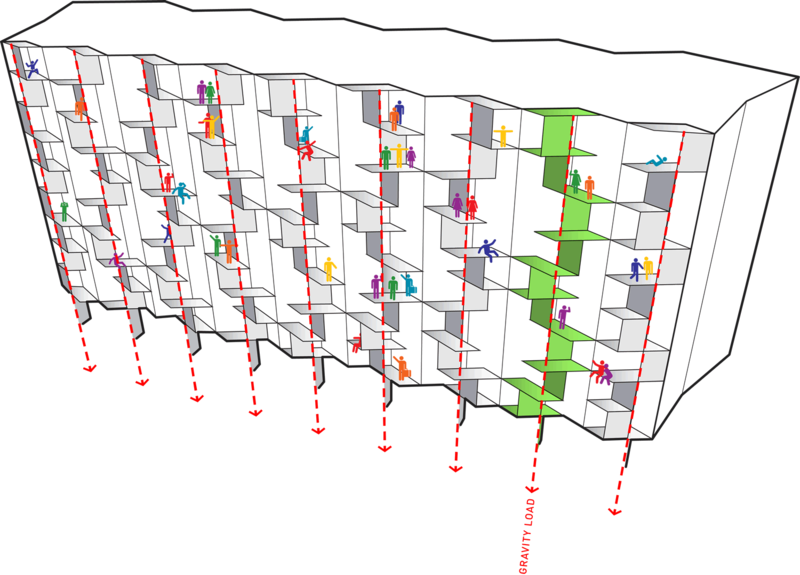 Rather, the column-panel structure carries the entire balcony gravity load directly to the ground, allowing the balconies to be thermally separated from the building mass, thus reducing thermal bridging and energy use. “At first, I didn’t appreciate the ingenuity of this spectacular detail,” one juror said. The Balcony Stems also “self-shade” a percentage of the adjacent south-facing glazing and are the first in Chicago to include thermal isolation for energy savings, as well as embedded slab sensors to measure heat loss and effectiveness toward interior comfort.